For some nursing candidates, the float pool provides a more unconventional means in deciding where your professional nursing career will take you. This program enables nurses to work in a variety of areas before making a commitment to a particular area of interest. Float pool staff are full-time staff who receive benefits and pay differentials to compensate for their clinical flexibility. Staff in PRN positions work on an "as needed basis". PRN positions are considered temporary employment with no benefits. You agree to work a minimum of 96 hours per month. You agree to work one major and one minor holiday per year. PRN Staff compensation will be based on "Supplemental Nursing- PRN Program" agreement. Our Nursing Float Pool is a program aimed at promoting professional nursing, while utilizing our nurses' unique gifts of flexibility, expertise and experience. The Float Pool provides the opportunity for nurses to work throughout our network, in a variety of units, including: surgical, medical, critical care and many others. Nurse in our float pool receive benefits and a pay differential to compensate for their clinical flexibility. The Float Pool provides an ideal setting for nurses who may not have decided on a specialty area, and would like the opportunity to work in a variety of areas before making a commitment. Float Pool nurses have are required to float between one primary facility and 1 additional location (Duke University Hospital, Duke Raleigh Hospital, Duke Regional Hospital). 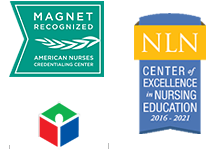 Float Pool nurses enjoy the same continuing education and certification opportunities available to other nurses throughout the hospital. Float is Area of Specialty Specific (Procedural, Med-Surg, Peds, ICU, Etc..) Minimum 2 years’ experience required. New Grad Float opportunities also available.